Been there, done that. Charles Stanley had both the view of the counselor and the parent when he brought personal illustrations to play. The counseling situations were enlightening and eye-opening, and the family illustrations brought a personal touch. Each produced a break for the mind and allowed for smooth reading. Homework? With each chapter, I walked away with homework. There were parenting skills that needed sharpened, conversations that needed to take place, and changes that needed to happen. I have a long ways to go, but there were measurable steps I could take in improving my parenting. Handing Down Your Faith. The chapter on this very subject was priceless. My favorite part of the book and made the whole read worthwhile. Such an important concept and I’m indebted to the author for the wisdom that was shared. Not too sure. There were a couple specific parenting situations that I disagreed with the take of the author. Nothing sinful or even anything wrong, but a stance I probably wouldn’t take. I am still learning on the job, so maybe my view may change as my kids get older. Seems most of my disagreements had to do with discipline that was at times on the weak side. The Grade: A. Any parenting book that teaches you practical ways of improving your relationship with your children and your role as a parent gets an A from me. This book provides valuable insight in parenting, while providing personal ways of improving the day-to-day grind of parenting a child. Written over 30 years ago, it just goes to show, Biblical parenting does not go out of style. When we turn the page on the calendar, we often do not look back at the goals of the year before. If you’re like me, you are always looking forward. It is important to take a moment to see how well you did in the goals you set. Because what good are goals is they are set and never met. Here’s a look at how last year’s goals went, to celebrate some victories but also discuss some obstacles you may face. Grade: A. Mission accomplished. With the help of parents, leaders, & students, I was able to produce a sparkling new 6 year curriculum to allow parents to see a plan is in place for their teenager in every year of youth ministry. Grade: B-. Sure, the class went well and had great interaction. However, it’s been a slow process to see this culture happen within the church. Have I seen some growth? Absolutely. But i would love for more to catch the mentoring bug. Grade: A. What a great week. God provided for us to go work at a camp in New York. The teens worked hard, grew in their walk with Christ, and found it a positive time of unity and service. Grade: A. One of my all-time favorite student ministry series. You can check it out in detail here. Grade: B-. While we have been able to have a steady presence at the high school, we have seen limited growth. And the middle school partnership has not materialized. Praying God will open doors and I’d be bold enough to walk through the opening. Grade: B+. Assigned a student as the social media coordinator, and seen an improvement in interaction. Still working on ways to make this even more interactive. Grade: B. Through parent/pastor conferences, this has come a little more alive. Still could use more improvement, but a step in the right direction. Well, I passed 2017. Maybe not on the honor roll this year, but God certainly blessed, and I praise Him for all the victories and lessons He has taught me along the way. Hey can someone check out this rash on my back side…seems to be oozing…do we have a mop? This trash can smells like a small creature has died in there, and has been dead for years. Hun, did we let the kids out of their cages last night…oh are you recording? If you’re a Russian spy, does that your secrets are passed down to our kids? I just told this cupcake “I love you” and I really meant it with all my heart. They didn’t have wart remover at the pharmacy, so I bought needle-nose pliers at the hardware store. That should do the trick. How many kids do we have again? I think we may be missing one. Remember when you cried during that dentures commercial…I don’t think I’ll ever get that one. A bat just flew in our living room again. Make that two bats. Whoa, this one is carrying our neighbors pet rabbit. How we going to tell little Johnny what happened? Alright, it’s done. All the evidence is buried in the backyard. What’s for dinner? If you haven’t figured it out yet, parents are important to your success in youth ministry or student ministry. And by success, I mean the spiritual growth, depth, and love for the Savior in the teens in your youth group. I say that, because you can grow your youth group by numbers without the aid of parents, whether it is by heavy programming or giving away an iPhone for answering a question in Sunday school. But if you are seeking spiritual depth, if you are seeking a faith in your students that lasts beyond their high school years, if you are seeking a unity and health within your church…you must lock arms with your parents into battle. Teenagers are facing tremendous battles like the negatives of social media (gossip, cyber-bullying, self-centeredness), sexual pressures that happen everywhere from the office chair in front of a computer to taking the next step in a physical relationship, stress for academic achievement, loneliness & abandonment…and the list goes on. Why would you not want another ally in youth ministry? It would be like an Army General being offered 25,000 more troops to help in a war effort and saying, “Nah, I can handle this on my own. I’ve got the training and experience, let me handle it”. It’s ludicrous. 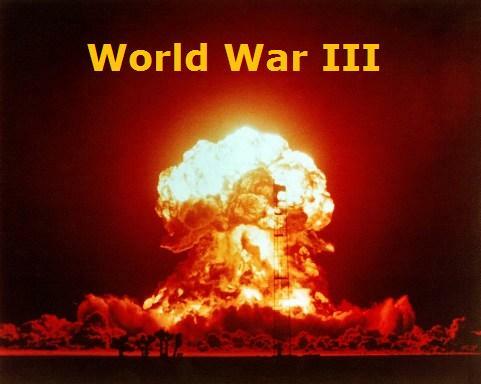 But this is happening all across the nation in youth ministries. Stop blaming the youth ministry for the exodus of young people, and take a look at the failure of combining the efforts of youth ministry and parents. That right there is a winning formula for a teenager. Maybe it will take some more convincing. Maybe you have been burned in the past by parents. Well, even if you confidence needs rebuilding or your skepticism remains, I’d encourage you to give these steps and see how God can use parent meetings to build a healthier youth ministry. Your first goal is to communicate the parent meeting is FOR the parents. 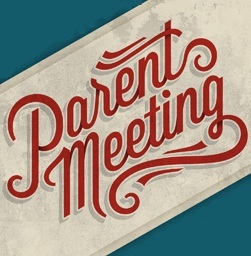 It should be obvious that a parent meeting is for…well…parents. But make sure you arrange the meeting to be something the parents enjoy and more importantly, need. Your attendance at parent meetings will always be a struggle, but if it is something that will benefit the parents, they will come. One specific way is to arrange the room in tables. And following the meeting, explain you’d like the parents to pray for each other. Discuss how each of them are in the same battle, teenage-dom. And you may gain advice and counsel from other parents, but most important can pray for each other. This has been my favorite part of parent meetings. I’ve seen parents talking to each other long after prayer is over, and truly helping each other, life on life. It’s a beautiful thing. Come prepared to teach the parents. Sure, the typical youth leader is younger and may not have teenagers of their own, but that doesn’t mean they cannot teach on parenting teenagers. Why? Because there is book that has the authority over all parents, and no one will argue with its content. It’s called the Bible. 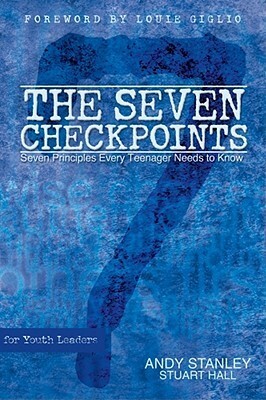 Other resources: The Seven Checkpoints (Stanley), Raising a Modern Day Joseph (Fowler), Shepherding a Child’s Heart (Tripp). This is really fun. Come up with a quiz of 10 questions about teen culture. CPYU.org is a great resource for articles and information for these culture quizzes. Plus, when you give away answers, you can give valuable insight on the question. 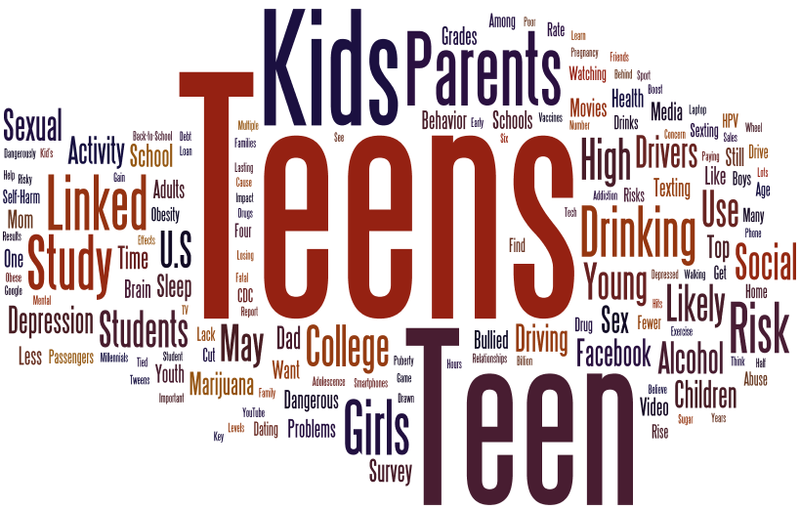 Questions about drugs, social media habits, teens & driving, or academic trends are all good places to start. So much value in keeping your parents clued in on teen culture, and it will give you tremendous credibility, showing you do know things about teenager that parents do not. Many times, we as youth leaders make the mistake of making the parent meeting all about events, programs, and filling the calendar. Sure, there still should be a place for that. But email, calendars, and newsletter can provide that information just as easy. So why waste time in the parent meeting with information about events. Put this information in front of the parents, but talk more about the purpose during these meetings, rather than just dates, times, and permission forms. This may be the most important step, so are you listening? DO NOT ask for questions during the meeting. You are inviting disaster. When you open the floor, you are opening it up for criticism, questioning of programs, and you are put on the spot. Rather, make it clear at the end of the meeting you are available to chat afterwards, or the parents can email, text, or call with any questions they may have. This will save you. Trust me on this one. Eliminate the excuses. Provide food and childcare, and you have eliminated 90% of the excuses right there. Plus, everyone likes to eat. So have your leaders help with planning a meal and helping with childcare, and more parents will attend. Cell Phones used to be for safety…now becoming more dangerous – From car accidents to easy internet access. (Sleep Texting; Internet Use on Mobile Phones; Texting & Driving; Smartphones Causing Dementia? Do we have too much social media? While it is valuable in connected to others, keeping track of what is happening in other people’s lives, and is a source of encouragement…it can also become a huge distraction, a definite time-waster, and at times a temptation. I mean, it has gotten to the point where I can find out what football coach has been hired before the team announces it. You can know the news before it even becomes news (see: Manti Te’o Twitter Craziness). Do we not have enough face to face? This was the Apostle John’s complaint way back in the early 100’s. Times have not changes. Even with airplanes, cars, buses, and trains over the last 2000 years, we have allowed computers to get in the way of our face to face time. Case and point: You ever hang out with high school students and every one of them is texting…some even to people in the same room! We need more face to face! 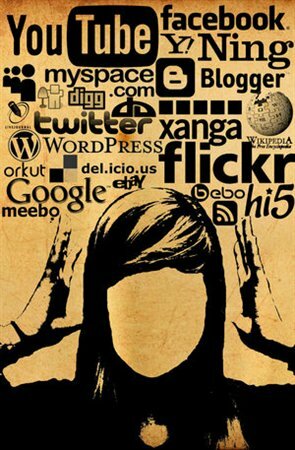 Do we hide behind our computers & tweets? Would you be as bold in your meeting with others as you are on your status or your tweet? Do you use your keyboard as a confrontation tool? I’ve always tried to follow this rule of thumb “Never have a serious conversation over the computer”. There may be some exceptions to that rule, but overall is a good goal to shoot for. This frustration is not new. Technology may be always changing, but something remains the same, we should always strive to meet people face to face, in their homes, at a coffee shop, or on the street. Show Christ love to someone today IN PERSON. That’s your goal, and let me know how it goes!